Structural Insulated Panels consist of a rigid foam core sandwiched between two structural boards. 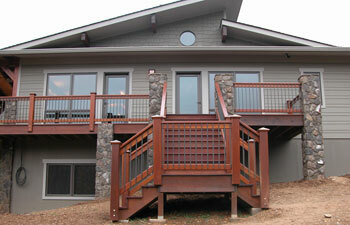 SIPs are pre-cut, custom fabricated and quickly fitted together at the job site. 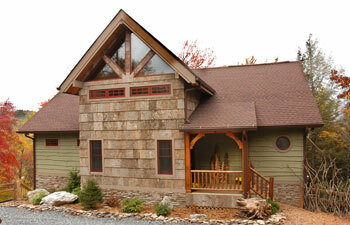 They can be used for both exterior walls and the roof. 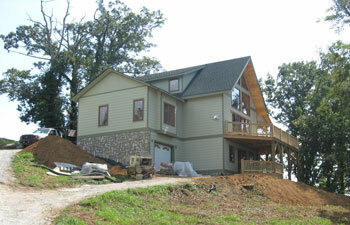 A tremendous building product, SIPS feature superior energy efficiency and strength. 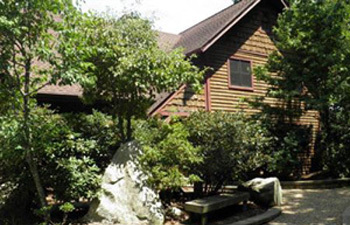 The exterior finish and architectural look can be anything that could be applied to any other type of structure — for instance wood, stone, glass, brick, etc. 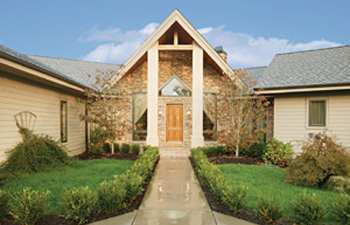 The interior walls can be finished the same way any other interior wall could be finished. 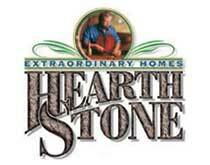 Hearthstone Homes is very competitive with their quotes when the full extent of their product outline is evaluated. 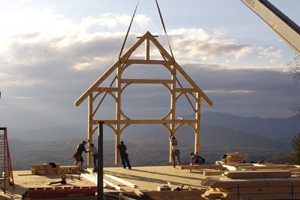 When considering a log or timber frame company, please evaluate their product inclusions and their service outline fully.